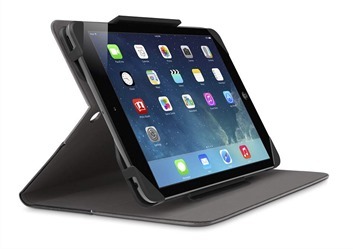 Hot on the heels of yesterday’s announcement, Belkin has acted promptly to introduce a range of new cases and accessories for Apple’s recently introduced iPad Air 2 and iPad mini 3. 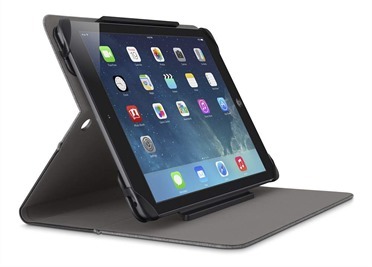 The newly created range of accessories includes a range of unique keyboard cases under the QODE naming convention, as well as multiple protective covers and cases that have been perfectly designed and manufactured to fit the contours of Apple’s iPad Air 2 and iPad mini 3. If you’re planning on purchasing one of the two new pieces of kit, then it’s encouraging to know there are already varying types of accessories being made available. 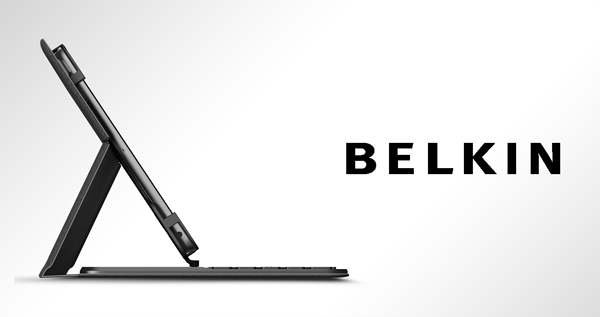 In an effort to appeal to the style conscious, as well as those who just want to wrap their expensive hardware in something robust, Belkin has produced and launched a range of covers for both pieces of hardware. It doesn’t take a mad scientist to see that more than a little inspiration has been drawn from Apple’s own Smart Covers, with enough of a Belkin design twist to make the products unique and appealing. 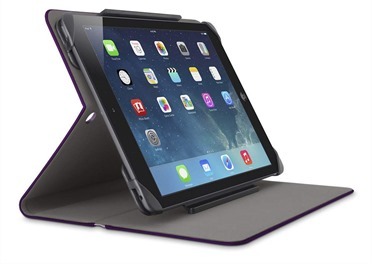 The Slim Style Cover is manufactured with a curved design that fits snugly on the iPad Air 2 and iPad mini 3 to offer the ultimate in protection. That particular range is finished with a touch-friendly velvet exterior. 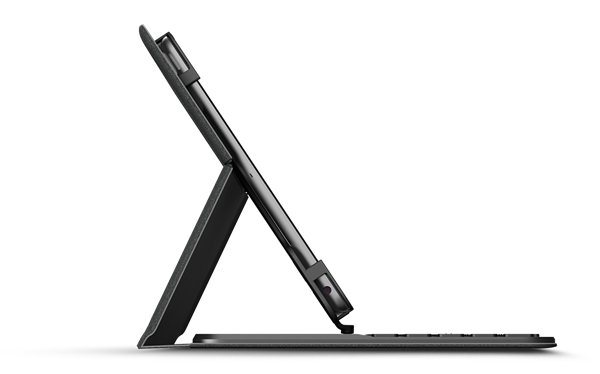 The company is also offering a classically designed Slim Stripe Cover for both model iPads, as well as a Classic Cover, which retails at $29.99 for the mini, and $39.99 for the 9.7-inch iPad Air 2. 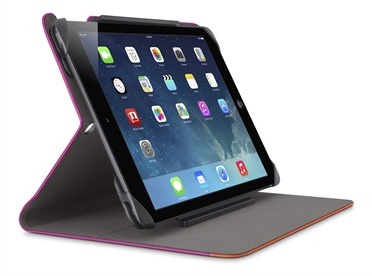 All cases are finished with a beautiful exterior, have the ability to fold into a useful keyboard stand and are built with smart-wake technology to unlock the connected iPad. 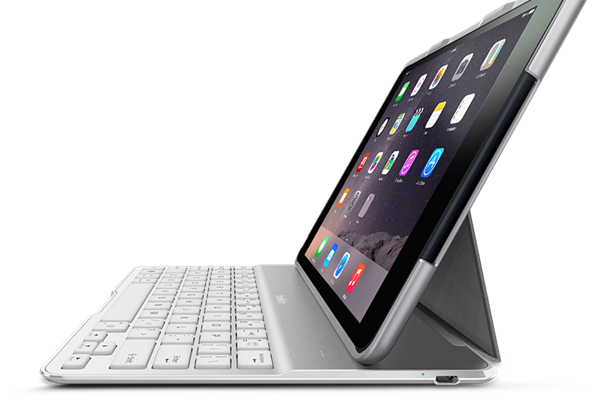 In addition to the protective cases, Belkin has also put forth its QODE Ultimate and Ultimate Pro Keyboard for the consideration of new iPad owners. The Ultimate Pro variant will ship for $149.99, whereas the standard Ultimate option will be available for $129.99. 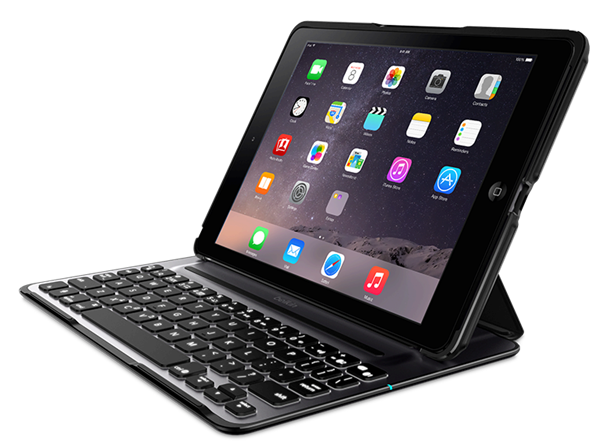 The QODE Ultimate Pro accessory is built with a vastly improved keyboard that should appeal to users due to its computer-esque key layout. The device will also offer three different brightness levels for backlighting and offers a staggering one year of battery life. If you wish to part with a little less cash, then the non-Pro version of the QODE will offer up to six months battery life and comes with three adjustable viewing angles.